I really believe in the importance of having a good, consistent skincare routine. This is an investment for the present and for the future because prevention is always better than cure ... So for me, it's really important to spend time each morning and night in front of my mirror, and to take care of my skin. First things first, my skin is on the combination side, so my forehead and my nose are producing sebum pretty quickly, but my cheeks and chin are dryer. I also tend to have breakouts on my chin and down my cheeks. But if I have combination skin, why are we talking about oils in this post?! Well, I recently discovered Squalane oil, wich is an olive-derived oil, and since my skin has been transformed. Like most oils (olive, almond, argan), it increases the elasticity and the moisture of the skin. But what's great about Squalene oil, is that it accelerates the regeneration and the oxygenation of cells, and the result is that it fades marks on the face, either brown spots due to sun damage, old acne scars, hyperpigmentations, etc. Also, this oil doesn't have a greasy finish, so it can be applied morning and evening (which I religiously do), and doesn't clog pores. I have been using this oil for several months now, and the texture of my skin has never been that great! 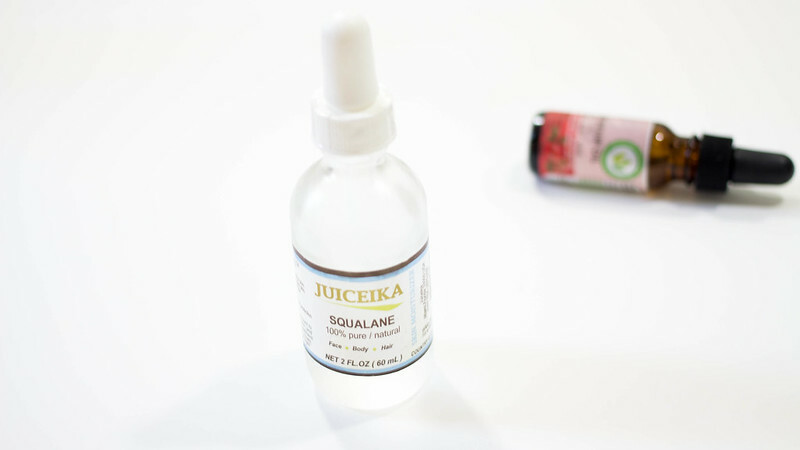 Currently, I'm using the Juiceika Squalane oil and I love it, it comes in a glass bottle with a small pipette, so you won't use too much product and you won't waste it. I apply one drop on each cheek, one on the forehead, one and a half on the neck, and I try to be a little be more generous in the evening. As a teenager, I suffered from acne and I had many scars, both holes and hyperpigmentations, but today those scars have faded a lot. My skin is so much more soft and less oily, which can be surprising. My theory is that our skin produces sebum to protect itself against external aggressions, but because Squalane oil is very similar to our natural sebum, the skin doesn't feel the need to overprotect itself... This is just my theory, but it doesn't matter, the result is here, now I don't have to use a tissue to remove the oil on my forehead at noon anymore! 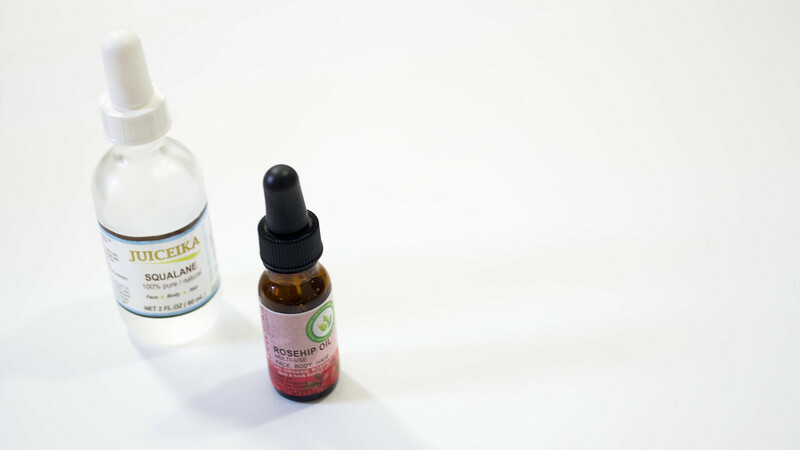 In the evening, I also like to add two or three drops of Juiceika organic Rosehip oil. 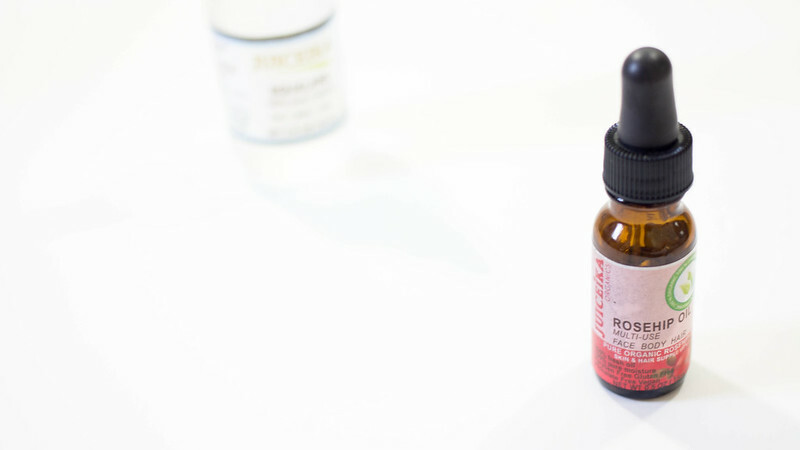 Rosehip oil is well known to improve the quality of the skin and reduce the appearance of scars and wrinkles. This combo works very well for me, my skin is so much more beautiful today! And you, what are your tips to have a beautiful skin?